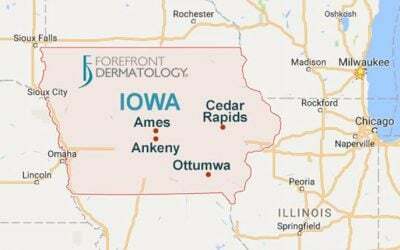 We would like to announce our newest dermatology clinic in Columbus, Ohio. We already have a clinic located in Centerville, Ohio and are now very happy to be part of the Columbus community as well. 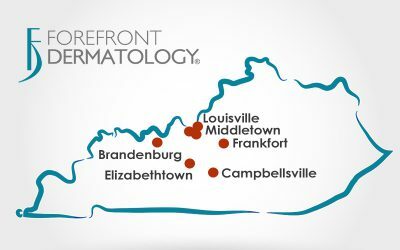 This new Forefront Dermatology clinic is located at 1830 Bethel Rd, Suite C Columbus, OH 43220.Christopher Daugherty, NP-C Michelle Chambers, MD, a Board-Certified Dermatologist, will be seeing patients in Columbus, Ohio, where she has been practicing dermatology for over 20 years. We extend a warm welcome to both Dr. Chambers and Chris Daugherty NP-C as they both join the Forefront Dermatology team. Dr. Chambers received her Bachelor of Science degree from School of Medical Technology, Michigan State University in East Lansing, Michigan. She received her Degree in Medicine and completed her residency in clinical dermatology at Wayne State University School of Medicine in Detroit, Michigan. She is very involved in her local community, as a member of the Central Ohio Dermatologic Society and the Ohio Society of Dermatologic Surgery, as well as being a Fellow Member of the American Academy of Dermatology (FAAD).Michelle Chambers, MD As a specialist in both medical and cosmetic dermatology, she enjoys working together with her patients to improve both their appearance and health. 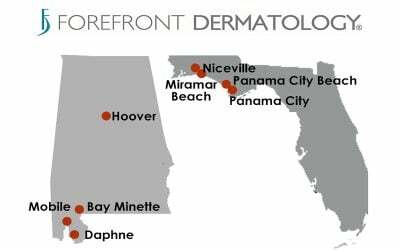 At Forefront Dermatology, our experienced dermatologists like Dr. Chambers, collaborate regularly in order to share their knowledge and expertise which gives our patients the best possible treatment options and results. “Dr. 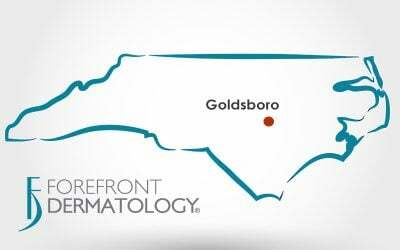 Chambers is a skilled local dermatologist who will bring experience and knowledge to our medical team,” said Kenneth Katz, MD, president and founder of Forefront Dermatology. 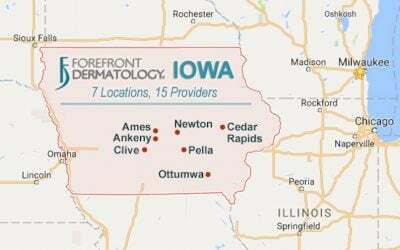 “We continue to strive to provide our patients with convenient locations and high-quality care using the most advanced dermatology procedures; Dr. Chambers will be a great addition to our growing practice.” We look forward to serving the dermatology needs of the Columbus Ohio community, the latest addition to our extensive network of locations throughout the United States. Call us at (614) 754-8781 to learn how we can serve you or to schedule an appointment with Dr. Chambers.